Devoted to God and Each Other is designed to provide positive and thoughtful inspiration and a renewal of hope that will strengthen marriages and fill voids in hearts in seventy-three short devotions. Now includes an audio CD! 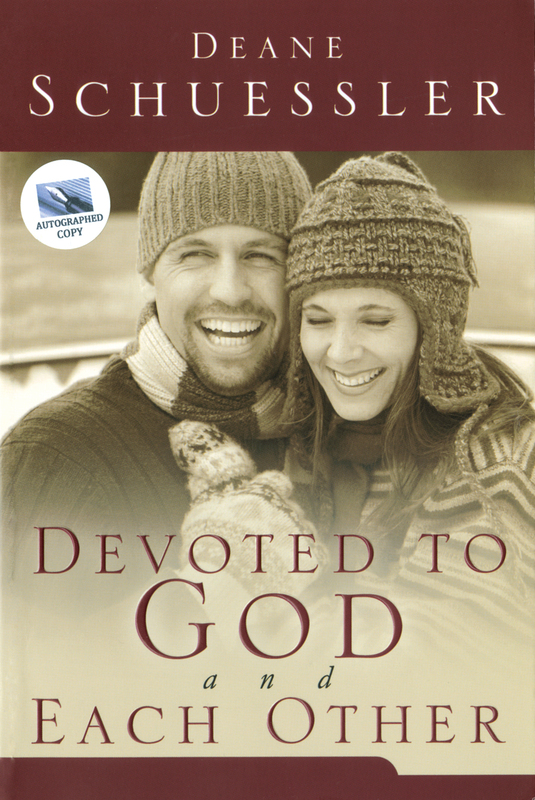 Devoted to God and Each Other is designed to provide positive and thoughtful inspiration and a renewal of hope that will strengthen marriages and fill voids in hearts in seventy-three short devotions. A recurring thread woven through the book is that a relationship with God is the main conduit of protection and power in our marriages. Dr. Schuessler says that our deepest, most important relationship is with God, while the most intimate is with our spouse. He sees marriage as a huge gift from God. Receiving his gift and believing in him as the Giver, we will be much more apt to respect and receive each other in love. Not merely a book for newlyweds or those heading toward marriage, it equally addresses the concerns and needs of couples in their mature years. Designed to be read together by couples, the book provides helpful, directed discussion starters and prayer guides. Issues such as mending little tears in marriage, finding purpose in your life together, nurturing growth and unity, and even steps to a real apology are dealt with in a sensitive way. Deane Schuessler, a fourth generation Lutheran pastor from Minnesota, believes the way we fill our voids in marriage (which occur from time to time in all our lives) is of prime importance. Whatever fills your voids—words of life, love and health, or words of emptiness and fear—will determine the condition of your marriage. When voids or vacuums develop in marriage, Schuessler suggests filling them in health-enhancing, stimulating ways which build the long-term value of your marriage and your life in Christ. The devotions in Devoted grew out of many years of Deane's marriage, coming on 49 years this June, with wife Julie. In his 15 years as a missionary pastor and youth center director in the northern city of Sapporo in Japan, he counseled many couples. Back in the United States the Schuesslers settled in the Greater Twin Cities area of Minneapolis/St. Paul. His work continues there, preparing couples for marriage and counseling them afterward.